Recently, Congress introduced reformed 340B eligibility requirements and has requested more comprehensive reporting on how hospitals utilize savings from the program. Republican Representative Chris Collins initiated the legislative push to overhaul the 340B Drug Discount Program and expects prompt consideration on the House floor. Collins views the series of bills as the defining effort in restructuring 340B in order to protect and preserve the program. The Republican Representative also aims to redefine “patient definition” so that discounts from drug manufacturers are funneled strictly to uninsured patients. Participating hospitals are alarmed by the legislation since it will directly affect their budget. Rather then 340B discounts going to uninsured patients, hospitals commonly direct them to outreach programs and safety-net care. While not all Republicans on the Energy and Commerce Committee (E&C) are in agreement with how to implement the statutory changes, Chairman, Greg Walden, supports Rep. Collins efforts. According to Walden, “We’re trying to find where the sweet spot is, going forward with legislation.” The E&C plans to begin consideration of the 340B reform bills by February. This is in line with Republicans hope to address any unfinished healthcare issues within the first two quarters of 2018. Hospitals using 340B discounts to fund their efforts to reach more patients, strongly disagree with Congress. They believe that the bills are reckless and that Congress is not considering the consequences of the legislation. Many hospital administrators view the existing rules from HRSA as sufficient. They are of the belief that HRSA already has jurisdiction over the drug discount program and can prevent any corruption with existing legislation. Despite the concerns from hospital officials, the support for Collin’s agenda definitely indicates a win for pharmaceutical companies in the battle over 340B. Discussions of reforming the drug discount program have been occurring since 2017 and substantial action to bring about reform took place when the Trump administration released CMS’s Final Rule. The rule went into effect on January 1 and included a $1.6 billion cut in Medicare reimbursements for hospitals participating in 340B. Shortly after the rule was announced, AHA pushed a lawsuit to impede HHS from implementing the rule. AHA’s efforts were denied and they have appealed the decision. 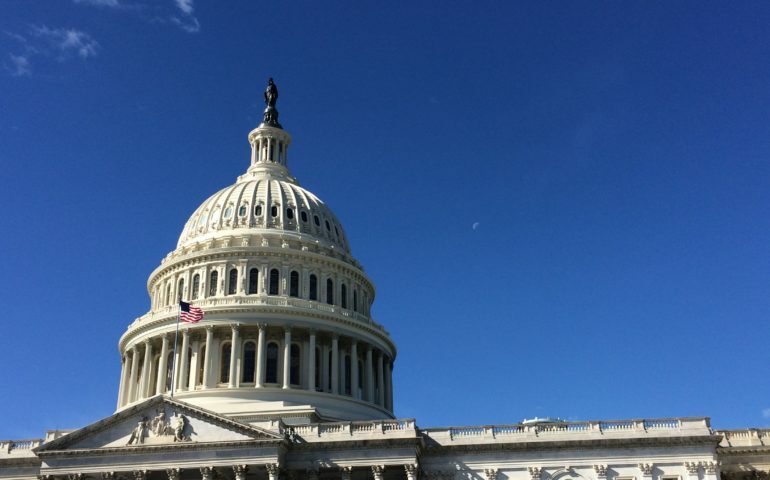 Capitol Hill then saw a tremendous amount of activity from both sides in the 340B debate. As pharmaceutical companies and lobbyists pushed for strict reform, legislators rushed to stop the HHS cuts before the end of December. Currently, Republican leadership and the E&C have furthered their efforts to bring about reform in the program with their report from last week. The report essentially instructs HRSA to regulate 340B with the authority they have and to also address any weaknesses in their current authority. Furthermore, it states that the original intent of the 340B program and the regulations on how discounts should be used are not clearly outlined. The main concern is that 340B has grown larger than it was originally created to be. As it continues to expand, its ability to sustain itself diminishes. Due to the importance of the program and its significant impact, the Senate’s interest in the program in is growing. On Wednesday, Senator Cassidy’s bill suggested a suspension of enrolling any new hospitals into the program that are located in urban areas. Rural and critical-access hospitals would not fall under the suspension. Moreover, Cassidy’s bill would initiate federal regulations and rulemaking outlining hospital reporting requirements. This would require hospitals to indicate where discounts are going. The Collins bill and Cassidy bill are similar but it is uncertain at this point if Cassidy’s would make it through legislation.